14 Jul Considering home birth ~ Part 3: What do you need for a homebirth? 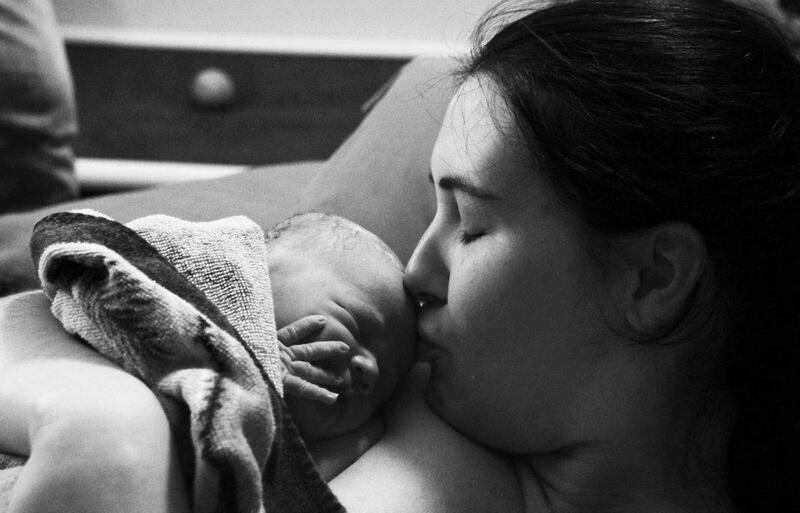 “What do you need for a homebirth” is a common question asked by families considering this option. If you have a place that you live that is reasonably clean, has a bathroom, and another space for laboring in, you probably have most of what you need already. Typically, if you own or rent a home, apartment, or condo and you plan to raise your baby in that space, then it is likely suitable. Your homebirth care provider should give you a list of things you will need for the labor, birth and postpartum. I will share what I suggest for my clients; your care team may have different suggestions than mine. I have attended birth in all kinds of settings and homes, including homes that have no indoor plumbing or electricity, and apartments with paper-thin walls. You don’t need upscale accommodations to have a home birth. An ideal set-up is a room where you plan to set up your birthing supplies that is located near a bathroom. This can be on the ground floor of your house, or in an upstairs space, but take into consideration doorways, stairways, and spaces that could make a transfer from home to a hospital difficult. Labor is an active event, so it’s good to have some open, clutter-free space for walking and swaying, and getting into lunges or other labor positions. Your space should also accommodate a bed, futon, or another firm surface for resting for the laboring person, as well as support people. Plan to birth in a space that is close to a bathroom, ideally with a shower or tub. Many people experience a “nesting” instinct in pregnancy, causing them to clear clutter and deep clean their space to get ready to welcome a new little person. This is great, and hopefully, you will have help accomplishing these tasks. General cleanliness is fine, though, if you don’t have an uncontrollable urge for constant spring cleaning before your birth. Spaces should be free of clutter, and generally dusted and vacuumed. The bathroom should be clean as well. It is perfectly fine for your house to look lived-in, especially if you have older children. No one expects your home to look like it belongs in a magazine. Many homebirth care providers will do a prenatal home visit to discuss their expectations with you and to help you make a plan for setting up your space. My practice has a birth kit set up with an outside company. I do not make any money on the purchase of birth kits. Clients like the ease of just purchasing a kit, rather than running to different sources and stores to find the items. I like it because I know exactly what is in the box, and the supplies are ones I’m familiar with. Have your fridge and pantry stocked with some healthy, easy to grab snacks for you and your support and care team. I suggest things like yogurt, cheese sticks, fresh and/or dried fruit, guacamole or other dips for veggies or crackers, nuts or nut butter, honey. Coconut water, or another electrolyte replacement drink, are nice to have on hand to keep your energy up during labor. Plan for a healthy meal for immediately after the birth. While it’s nice to have a meal that was made in advance for this, it can also be as simple as scrambled eggs and toast, or a peanut butter and jam sandwich. Herbal teas can be very nice in the postpartum, as they are warming, and can help with minimizing bleeding as well. I love red raspberry, cinnamon, and ginger teas for this purpose. This question often comes up in a consultation with families considering home birth, and the mess is definitely a legitimate concern. Birth comes accompanied by a variety of bodily fluids, and it’s reasonable to be concerned that your mattress or carpeting won’t be wrecked in the process. The answer is pretty simple: we clean it up, and we’re pretty practiced at it. We will protect your furniture and flooring with underpads from your birth kit, we will have you supply some old towels, and you will end up with one garbage bag and one bag of kinda yucky laundry. We pretreat and start the laundry for you before we go, so someone will just need to plunk it into the dryer later. Hydrogen peroxide is a miracle worker when it comes to getting blood out of fabric. There’s a bottle of it in your birth kit, but you may want to have more on hand. If you don’t have your own laundry machines, we can talk in your appointment about how to manage this aspect of a home birth. Are there any times that planning a homebirth might not be a wise idea? Oftentimes, conditions in your home can be changed or addressed prior to birth. If you are dealing with any of the above situations, please reach out to your care provider and have an open and honest conversation about your concerns well in advance of your birth. Stay tuned for more information about planning for a waterbirth, including pros and cons, and additional set-up for that. Continue on to Part 4: What about the pain? Find Part 1 and Part 2 of the Considering Home Birth series to learn more about common concerns.